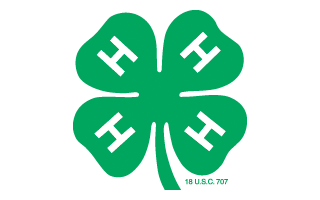 The State 4-H Small Animal Educational Symposium will be held on Saturday, February 23, 9:15 am-3:45 pm at the Office of Government Services building located at 1200 North Delsea Drive in Clayton (Gloucester County). The Symposium will provide an opportunity for 4-H members, leaders, and parents to participate in a variety of educational events. Workshops and activities planned include: art show; rabbit hopping workshop; egg and poultry workshops; rabbit care, conditioning, genetics, showmanship, breeds, and tattooing workshops; reptile workshop; small animal breeds and care workshops; and cavy showmanship and agility workshops. The cost is $15.00 per person for youth and adults (includes lunch, registration for morning and afternoon workshops, and program supplies). To register, please complete the State 4-H Small Animal Project Educational Symposium Registration Form and the 4-H Event Permission Form. The deadline for registration is February 11.